TEDxAsburyPark 2019 – CHAOS – ShoreTV New Jersey – Watch It, Live It, Love It. 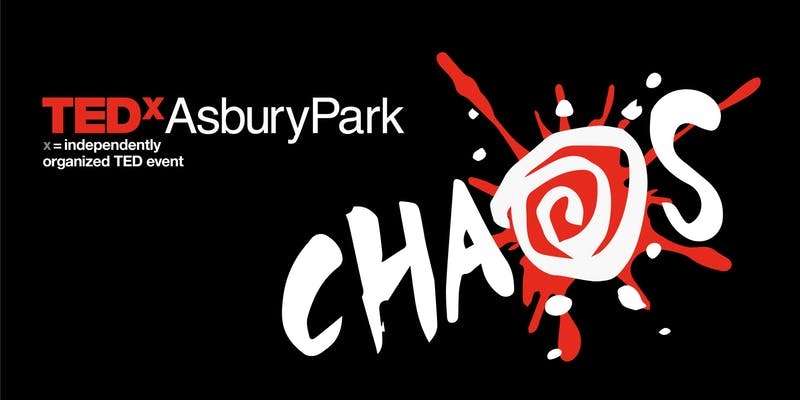 TEDxAsburyPark “CHAOS,” is amongst the largest and highest-rated TEDx conferences on the east coast set on the stage at the legendary Paramount Theatre on Saturday, May 18th, 2019. TEDxAsburyPark is an annual volunteer-organized event dedicated to education, community, innovation, and “ideas worth spreading.” Each year, a different theme culminates in a stimulating day of nonfiction theater. Well over 100 businesses, nonprofit leaders, professionals, students from local universities, and sponsors plan, manage, and fund the all-day event. TEDxAsburyPark discovers and curates more than 25 speakers, entertainers, and artists who will share their “Chaos” stories and ideas on the Paramount Theatre stage in an all-day event. For information about group ticket sales, please email groupsales@tedxasburypark.com.